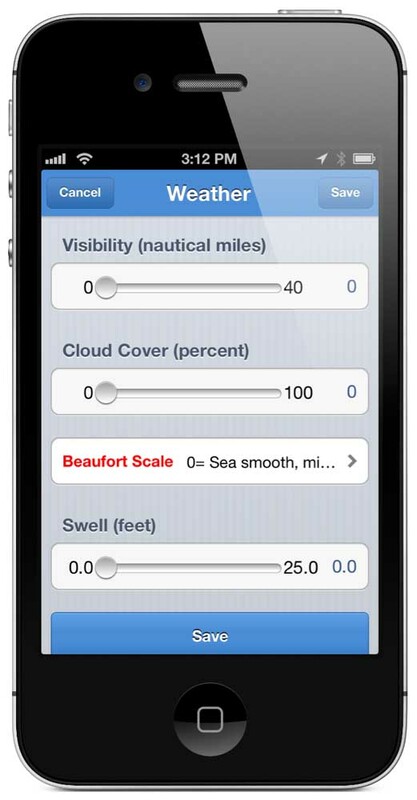 If you are ready to contribute to our efforts to reduce ship strikes to whales along the west coast, head to the coast on land or at sea - just download the Spotter Pro app first! 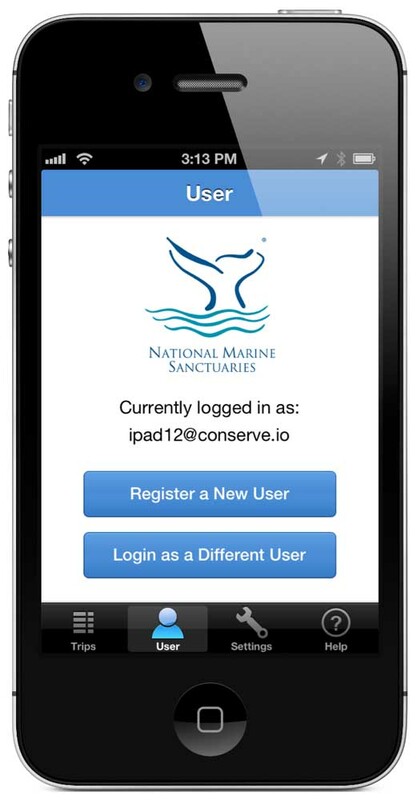 Contact whalealert@pointblue.org for more information regarding login and sign-up. Point Blue worked with Cordell Bank and the Gulf of the Farallones National Marine Sanctuaries to help design new shipping lanes into the San Francisco Bay to reduce the risk of collisions between whales and ships within the Sanctuaries. These new shipping routes, along with new changes in the Santa Barbara Channel, recently went into effect. 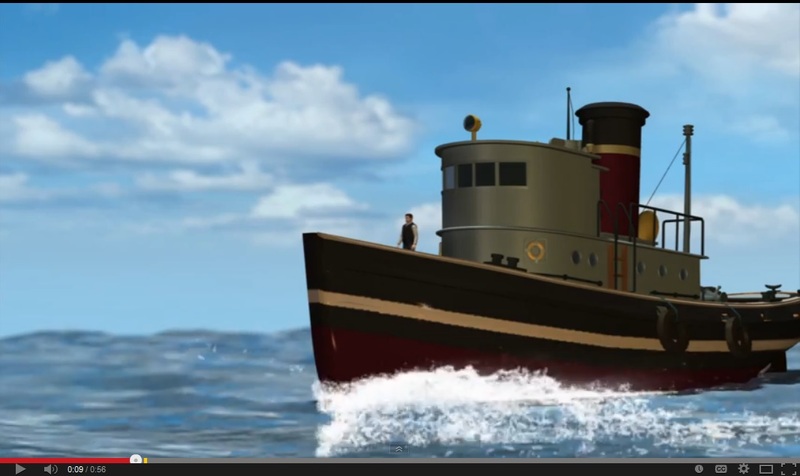 Although the shipping lane changes are a step in the right direction, more can be done to address this issue. That is where Spotter Pro comes in. This new smart phone/tablet application was developed by Conserve.IO and is a publicly available and user-friendly way for just about anyone to report whale sightings on the west coast. 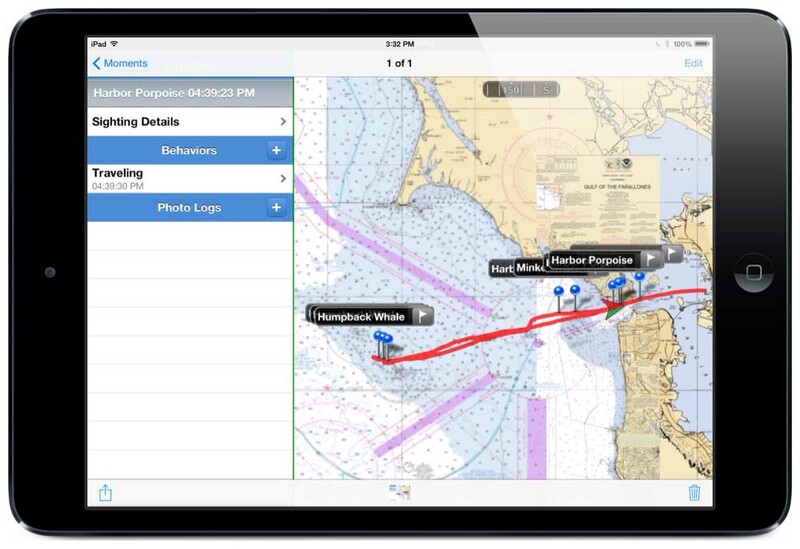 It is intended to be used by researchers, commercial ship operators, charter fishing boat operators, whale watching naturalists, and recreational and commercial fishers to document whale sightings in real time. See how the Spotter Pro app works in this short video.